Dyslipidemia as any other chronic degenerative diseases is pandemic in Latin America and around the world. A lot of patients asking for body contouring surgery can be sick without knowing it. 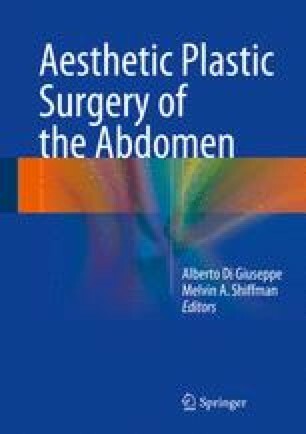 The author describes the lipid profile levels of patients with dyslipidemia, before and 3 months after an abdominoplasty. Patient candidates for an abdominoplasty without morbid obesity were followed before and 3 months after the surgery. The lipid profile, glucose, insulin, and HOMA (cardiovascular risk marker) were compared before and 3 months after the surgery. T student test was used to compare the results. A p value less than .05 was considered significant. Twenty-six patients were observed before and after the surgery. At the third month, the only statistical differences were in LDL and triglyceride values (p .04 and p .03). The rest of metabolic values did not reach statistical significance. In this group of patients with dyslipidemia, at the third month only, LDL and triglyceride values reached statistical significances. There is no significant change in glucose, insulin, HOMA, cholesterol, VLDL, or HDL.